QUESTION: The HR classification diagram says that most stars are blue or red or yellow... but when I look at the stars myself, they all appear white, what's wrong? 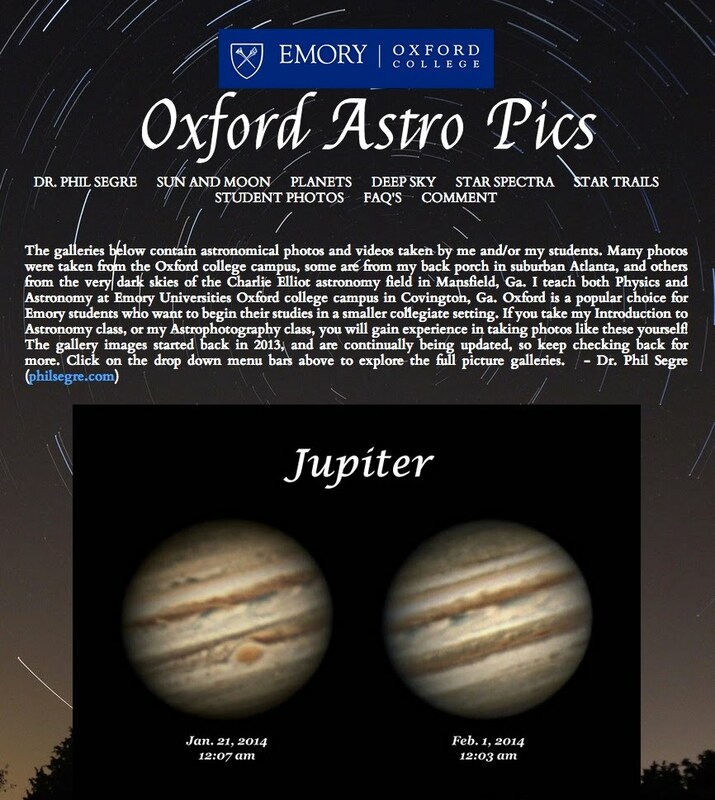 These are the photographs each group of students took of the Constellation Orion on Feb. 27, 2014. 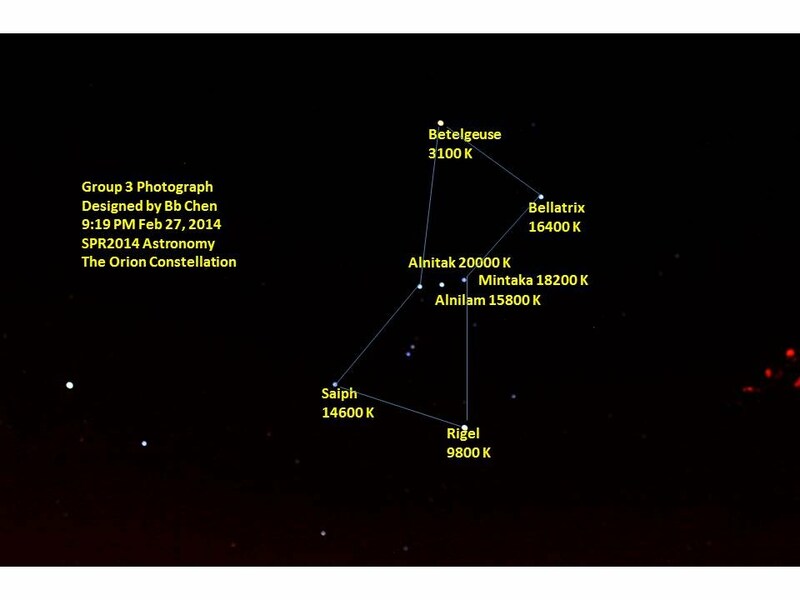 Photograph of the constellation Orion. This is a 25 second exposure made with a Canon T4i DLSR camera. Many stars appear blue, a result of their high surface temperatures. Betelgeuse is the coldest star and it appears yellow/orange. To the naked eye, which is not very sensitive to color when the light source is very dim, all stars appear essentially white. But a digital camera is much more sensitive to dim lights and the true star colors quickly come out. Star trails images, made from stacking together 20 photos taken over 10 minutes. 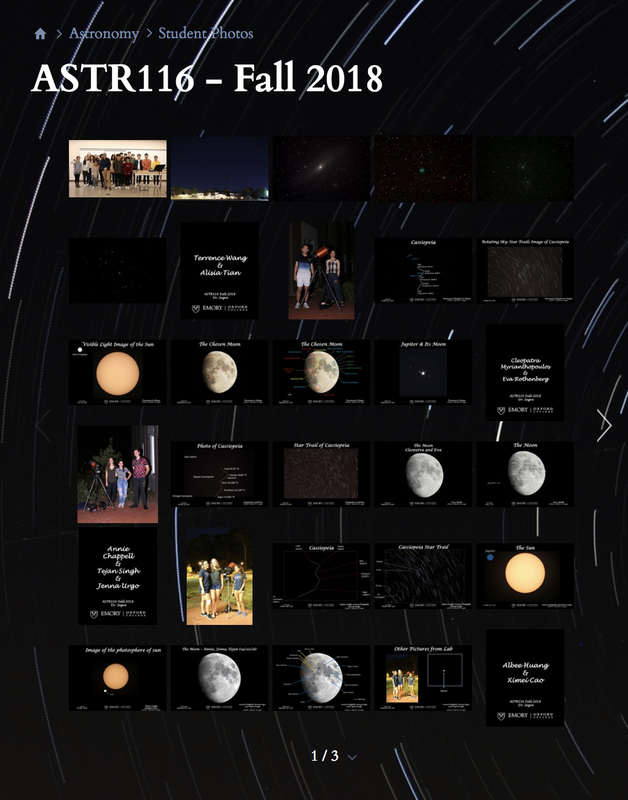 The star trails images enable an easier viewing of the different star colors. Stars make 'trails' because the camera is on a fixed tripod, and the night sky is slowly rotating around us.